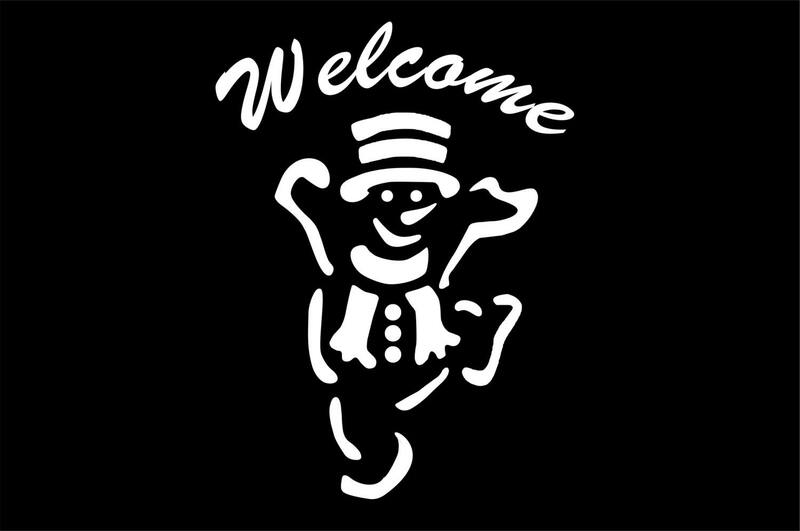 Welcome your guests with this playful snowman decal. It is available in several sizes and colors. It could also be applied to a wall or window. Please make sure if you are going to apply it to the inside of a window or glass door (as shown in the photo) and want it to be viewed from outside that you type the word "mirror" in the notes to seller box during checkout. You will receive your decal, a practice decal, written instructions, and a link to our YouTube video that shows how to apply our decals. Vinyl and fabric decals will not stick to wall surfaces painted with low V.O.C. paints. Do not order our decals if your walls are painted with these paints! If you are not sure a decal will stick to your wall, contact me for a test piece before placing an order.